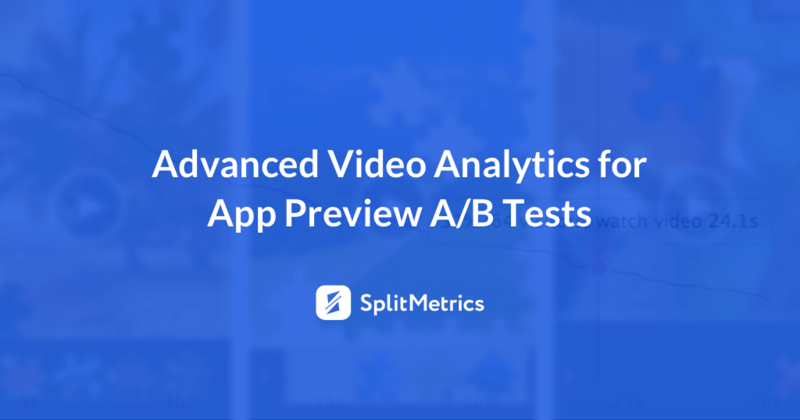 One of the most popular questions app publishers ask is how much traffic they need to run valid A/B tests. Unfortunately, there is no answer with a magic number that will fit every single experiment. An optimal traffic volume for mobile A/B testing is individual and depends on such factors as a traffic source, app’s conversion rate, and targeting. However, we can get to the bottom of sample size calculations for mobile А/В testing. It’s really important to have a full understanding of it as sample size has a considerable effect on checking the significance of the observed difference in variations performance. In this post, we’ll also review one of sample size measuring methods which is widely used and helps to make a statistically valid decision based on the results of your mobile A/B testing. Variation B – 57 converted users. Thus, the observed difference in variations performance shows that the result is statistically significant at the confidence level of 95%. The picture above shows the result of such validation performed using online mobile A/B testing calculator. Variation B – 127 converted users. In this case, the significance checking will show that the observed performance difference isn’t that statistically significant at 95% confidence level. Is the example we examined realistic? Sure, it is. For instance, when the exact conversion values of variations A and B are 20% and 26% respectively, these values are within the appropriate confidence intervals for cases with both 200 and 500 visitors per variation. 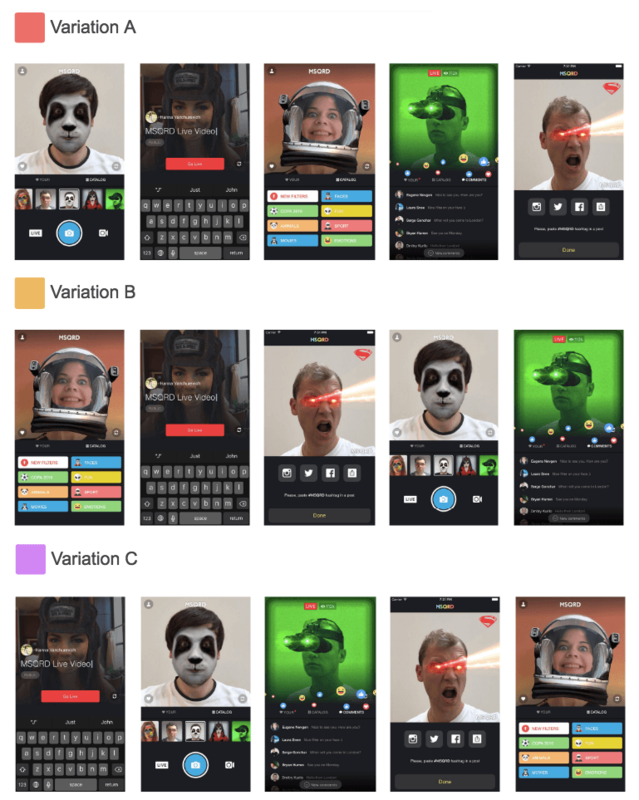 According to this example, if we finished the experiment at reaching 200 visitors for each variation, it would be possible to come to the conclusion that variation B performed better. However, if we finished the test after having 500 visitors on each product page variant, we could conclude that both variations are interchangeable. Pretty confusing, isn’t it? How many users do we need to run trustworthy mobile A/B tests? Thus, we need to figure out what sample size is necessary for getting statistically significant results in the course of our mobile A/B testing. Now, let’s review a sample size measuring method which is based on statistical hypothesis testing. First, we need to understand what null hypothesis really is. 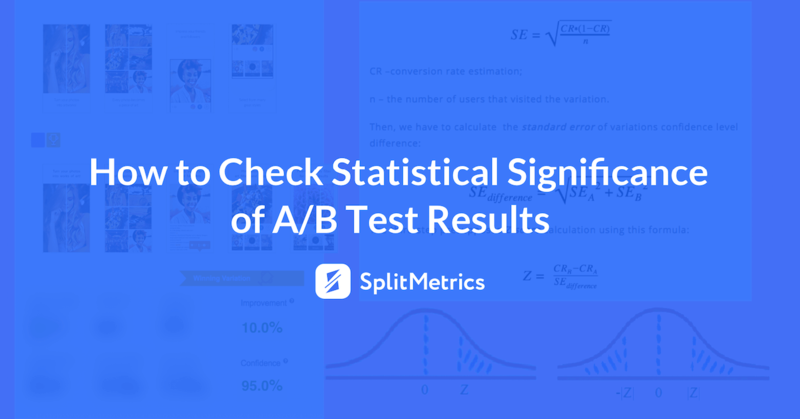 In mobile A/B testing, the null hypothesis is normally represented by the assumption that the difference between the performances of variations A and B equals to zero. type of the test: one-or two-tailed test. The conversion rate of variation B: 26% (CR(B) = 0.26). variation B performed better than variation A (CR(B) = 0.26). In the course of sample size determination, some calculators for A/B testing request minimum conversion rate difference to be formulated in relative terms instead of absolute. In our example, the minimum difference of 6% in absolute terms corresponds to the relative difference of 30% (20% * 0.3 = 6%). 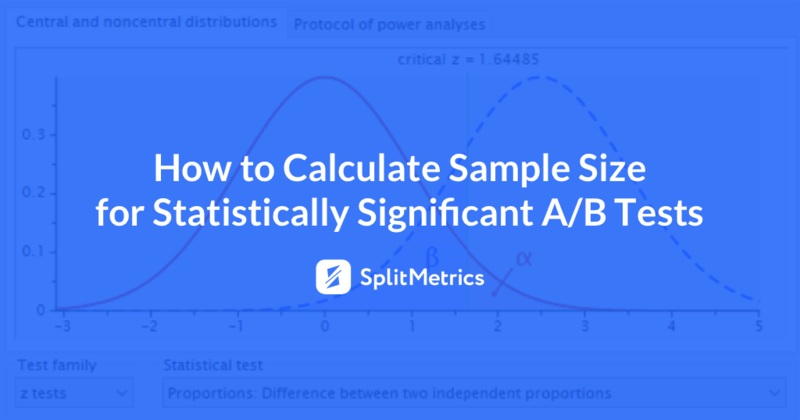 As it was clarified in our post on mobile A/B testing results analysis, the sum of confidence level and significance level values should be 100%. Let’s choose the confidence level of 95% and the significance level of 5% for our MSQRD example as these are the parameters values which are most commonly used in A/B tests. Let’s denote the confidence level by α, then the significance level – by 1- α. Mind that the significance level is the probability of erroneously rejecting the null hypothesis (type I error). 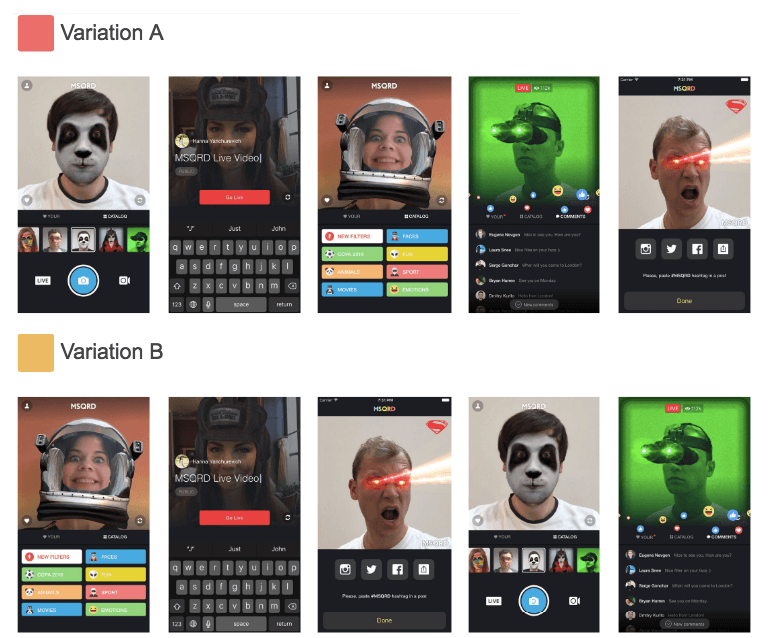 In the context of mobile A/B testing, it presupposes the probability of concluding that the conversion rates of variations A and B differ when in fact they are equal. There is another error type which should be minimized as well. This error doesn’t reject the null hypothesis when it’s erroneous (type II error). When it comes to mobile A/B testing, it means concluding that the conversion rates of variations A and B are equal when they differ actually. In statistics, the probability of type II error is usually denoted by β, and the value equal to 1- β is called statistical power. The value of statistical power in the course of A/B tests is 80% as a rule. A one-tailed test is used if we want to check the significance of the observed positive difference in variations conversion rates (i.e. our goal is to replace variation A with variation B if the latter has better conversion rate). Z – standard score or Z-score. The only difference between these two formulas is that Z(α) is used in the first one while the second uses Z(α/2). These calculations can be made with help of the free-to-use software Gpower. Therefore, if CR(A) is 20% and the estimated CR(B) value is at least 26%, we’ll have to run our experiment until each variation gets 608 different visitors to check the statistical significance at the significance level of 5% and with 80% statistical power. Thus, the total number of the experiment visitors should be 1216. In case we are interested in both positive and negative conversion rate differences, the results will be slightly different. If CR(A) is 20% and we need to find 6% difference in absolute terms, we’ll have to fill each variation with 772 different visitors to check the statistical significance at the significance level of 5% and with 80% statistical power. Therefore, the total number of visitors within this mobile A/B testing should be 1544. Thus, if n is the sample size calculated according to the method described above, to compare variation B with control variation A, we’ll need n visitors for variation A and n visitors for variation B (the total is 2*n visitors). But what should we do if the experiment we run has 3 variations? Let’s imagine we add the third variation C to our MSQRD experiment. This variation C should be compared with variation A (the control one). Therefore, we’ll have to fill variation C with n visitors as well and make the total number of experiment visitors equal to 3*n.
It’s really important to remember that the smaller the difference between the conversion rate values of the variations A and B which is to be identified, the greater sample size is required for the test. That’s why if the conversion rates difference at the end of our mobile A/B testing is less than the expected minimum (the one we used in our sample size calculations), we’ll need to recalculate the sample size taking into consideration the new assumed minimum value and continue the test. Let’s go back to our MSQRD example and see how it works. So we planned to finish the experiment when each variation is visited by 608 users. We see that 25% is less than 26%. So it’s necessary to recalculate our sample size for the absolute minimal difference of 5%. The updated sample size will be 862. Thus, we need to run our test until we draw 254 more visitors to each variation. If we get CR(A) = 20% and CR(B) = 25% or more at the end of the test with 862*2 visitors, it’ll mean that variation В is significantly better than variation A. In this post, we examined the approach which presupposes determining a sample size before we launch our experiments and analyzing the results only after our mobile A/B testing is finished. This method is based on statistical hypothesis testing and guarantees results correctness. This approach has a drawback: with a relatively small conversion rate value of the control variation and a small expected difference between variations A and B, the required sample size is big. There are cases when sample size numbers are really hard to achieve in the course of mobile A/B testing. However, this problem can be solved with help of multi-armed bandit experiments that are based on applying Bayesian Statistics. Running your tests with SplitMetrics, you’re able to activate a multi-armed bandit, enjoy statistically significant experiments without extra traffic expenses and achieve app store success. Points for bringing up G-Power – it is indeed a great tool covering a ton of different cases, albeit it might be a bit overwhelming for a newcomer to statistics. 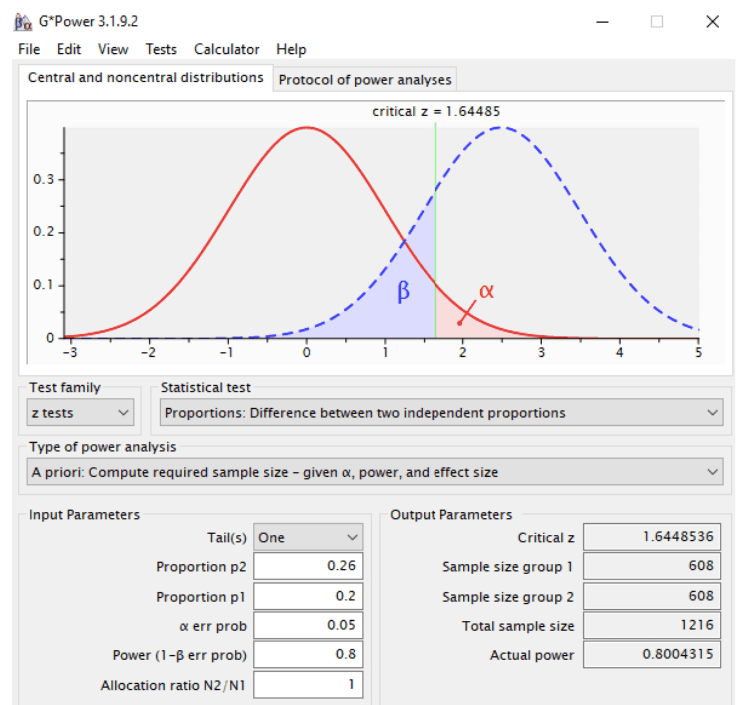 However, a major issue with it and the Evan Miller tool is that they do not support comparisons between more than two groups, which is often the case in A/B testing where you would have group A – control, and treatment groups B, C, D. With these calculators you will not be able to calculate a proper sample size. Multiplying the sample size for two groups by 2 will actually result in an overpowered test. https://www.gigacalculator.com/calculators/power-sample-size-calculator.php . It is also more friendly towards people new to stats than G-Power.